The Santa Clauses are in the stores, all the black Friday deals sites are a buzz it must be time to start shopping for Christmas! Oh what's that you forgot to save money for presents this year? Unfortunately, in this day in age it may not even be that you forgot. It could be that there is no extra money after all the bills and groceries are paid. So what are you going to do? First don't do what millions of others do and put your purchases on a credit card! This will only haunt you in 30 days when the payment is due and you still can't come up with the extra funds. For some families celebrating Christmas with store bought gifts might not be the financially wise choice this year and THAT IS OKAY! I know it sounds horrible and it is heartbreaking to think about. However, ONE year without store bought presents could be the different between keeping your house and losing it. This is reality for some and for those that it is; embrace it and start fun traditions that do not cost tons of money, like Christmas caroling with your church, Christmas light viewings, a homemade elf on the shelf, cookie baking, and homemade gift exchanges. Can you tell we have spent a Christmas or two not exchanging store bought gifts?! 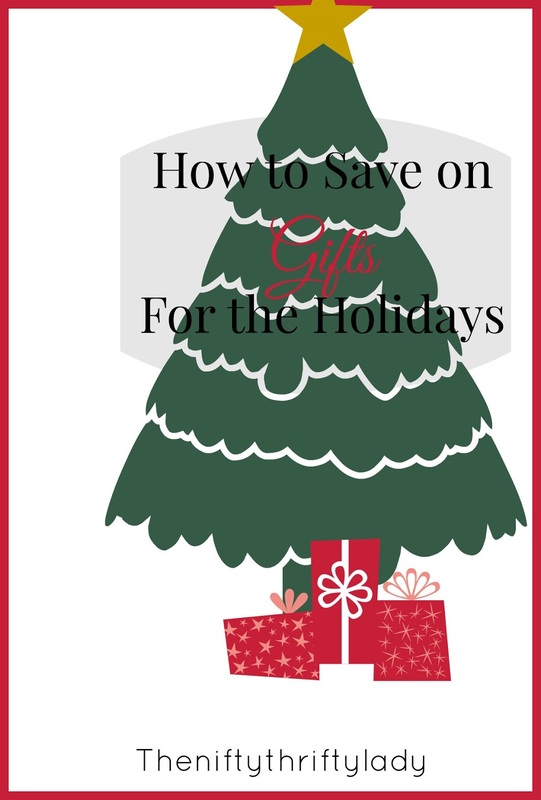 If you can afford to buy presents from the store this year but would like to cut the budget or are just looking for creative ways to save a little here is the video for you! Split the purchase over multiple peoples budgets. If for example you are buying the new Wii system and it is $300.00 (well I probably wouldn't buy it but anyways!) and you have 4 children that will play it take $75.00 out of each child's budget. That leaves each child with $25.00. This is only applicable if all the children will use it. Gather funds from others! Many of times I have asked the grandparents to donate a certain amount of money to a Christmas toy fund like a new swing set or snowboard. It is just simple math when many people help it lifts the burden off of your budget. Don't be ashamed either! 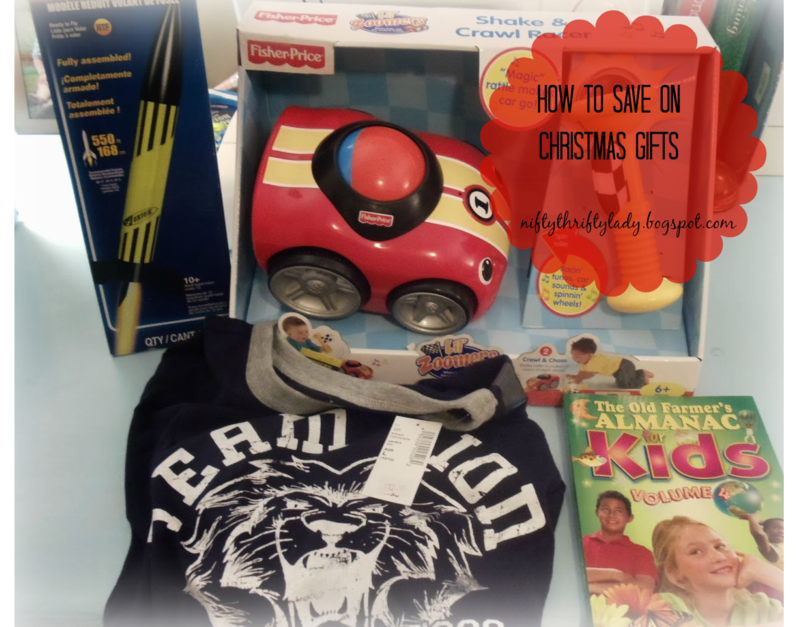 I know that the grandparents in our family are always more then willing to help with a purchase the kids will LOVE rather then a bunch of little things they will like. Buy 1 generation back. No you do not need the Brand Spankin new Note3 with the watch. I know every other commercial is telling you that you need it but you don't! What you do need is the awesome discount on the Note2 that if being offered because of the release of the Note 3. Did I confuse you? Buying 1 or 2 generations back is going to save you a TON o' MONEY and you can still be cool! I am sure you have about 5 free shutterfly or tiny print codes just waiting to be used.These are great "Buffers" embellish a lower budgeted gift. My example this year is a package of to-go ceramic coffee Cups. The set contains 6 cups that I bought on clearance at Sam's Club for $11.00. I will stuffing them with tea bags, coffee, free and chocolate all from free samples or freebies from couponing! I am always checking the clearance rack for great deals on Christmas gifts! Just know what you have so you don't over spend! Set up a Christmas club with automatic withdrawal, save everyone $1.00 bill you have until November, put all of your change in a piggy bank. It doesn't matter how or HOW much you save during the year as long as you have a separate fund just for Christmas spending. The extra expense is hard to compensate for so having s specific fund just for this budget will make it easier come shopping time! My set of to-go cups that will be broken up into multiple gifts! You can find Part 1 here and Part 2 here! What other ways do you save one Christmas gifts? Hope over to our Facebook page as share your thoughts!